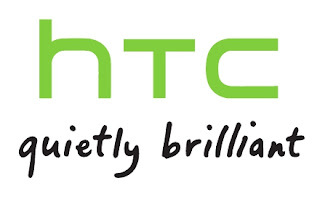 HTC to unveil their 2013 flagship "M7" at CES? The rumor mills are often hit or miss so we usually try to keep our expectations and excitement tempered when we read the latest gossip, but this latest rumor is coming from a source that has proven itself in the past. Recognized and trusted XDA member Football4PDA was spot on with the leaked specs of the HTC One X+ as well as the HTC DROID DNA and has delivered his most tantalizing tidbit to date. According to Football4PDA, there is a chance that HTC, like Sony, will try to get ahead start on the competitions by unveiling their 2013 flagship at CES (Consumer Electronic Show) next week rather than at MWC (Mobile World Congress) as they've done in the past. This is most likely in response to rumors of Samsung moving up the Galaxy S IV launch to MWC as well as trying to lure in potential late Winter upgraders. Leaked specs include a 4.7-inch 1080p display (468.7 DPI), a 1.7GHz Qualcomm Snapdragon S4 Pro quad-core processor, 2GB of RAM, a 13MP camera, 32GB of internal memory and a 2,300mAh battery. If rumors are true this phone is powerhouse device that will undoubtedly set the bar for 2013.